Shipley is heading into a Lucas Oil ASCS National Tour and ASCS Southwest Region tripleheader this Thursday through Saturday at Cocopah Speedway in Somerton, Ariz., which he wouldn’t be able to attend without the help of the many great people. Mark Clark of Speed Sports, which is a high-performance auto service shop, stepped up and bought some sponsorship on the side boards for the last five races of the year. Bob Hendrickson with Hendrickson Construction has also volunteered to give some help to Shipley and Verville Motorsports. Shipley and Verville Motorsports extend their greatest gratitude to these people and their year-long sponsors who are helping to make their chase for a podium points finish with the ASCS Southwest Region a reality. 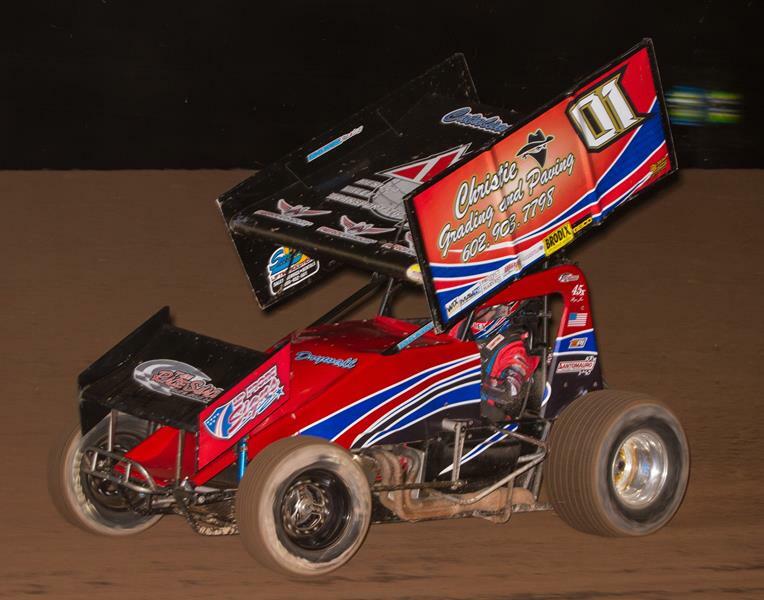 Shipley enters this weekend ranked fourth in the ASCS Southwest Region standings – only 40 points out of third place. The Race Shack, which is located in Peoria, Ariz., provides dirt track racing parts and safety equipment. For more information, visit https://www.facebook.com/racersare1. Shipley would also like to thank Christie Grading & Paving, Up Front Signs, Aero Panache Aircraft Detailing, Smiley Crane Services, Mesilla Valley Transportation, Catalina Drywall, 488 Web Designs and Ti22 Performance for their continued support.